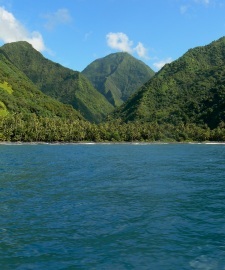 Tahiti Iti (The Small Tahiti) – called the Peninsula, is connected to Tahiti Nui (The Large Tahiti) by the narrow isthmus of Taravao’s plateau. Its highest summit is the Mount Ronui. Life is so sweet at the Peninsula, far from the city’s tumults and nuisances. 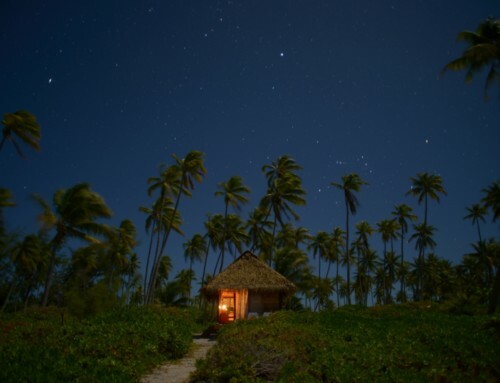 Universally known for its mythical surfing spot – Teahupo’o, Tahiti Iti is also a pleasant place to regenerate and to unite with Mother Nature. 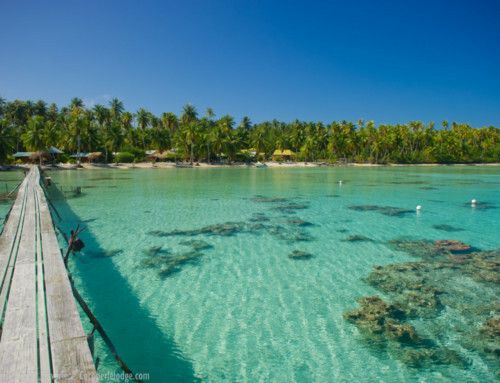 In order to live a magical experience in Tahiti, several excursions are suggested, each one more interesting than the next. 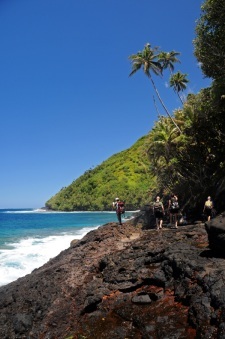 You can walk from Teahupo’o to Tautira in 1 or 2 days if you follow the “Te Pari” excursion. You will cross rivers and cliffs before camping on a deserted beach for one night; then the following day, you will dive in the Te Pari’s universe – a place registered in the classification of natural sites and monuments since 1964. 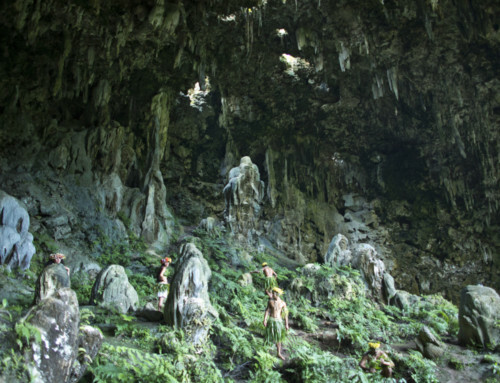 There, some family hotels suggest a boat trip in order to visit the Te Pari’s cliffs, then a walk through the centenary forest of Mape (chesnut trees) which discreetly shelters the Valley of Vaiatu and the cave Vaipoiri which has an underground lake. A legend has been dedicated to it in Teahupo’o, one of bravery and love featuring Vei – a simple servant, and Vero a king’s daughter. It’ll be your guide’s delight to tell it to you. 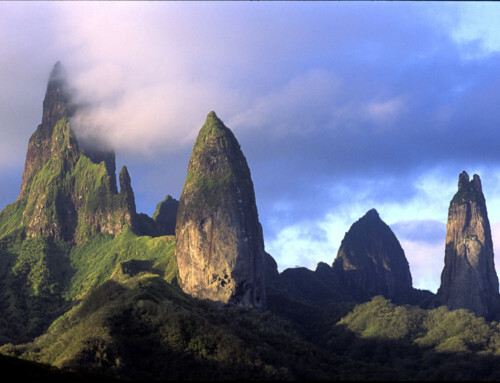 Thanks to another excursion departing from the Valley of Aiurua, you will be able to reach the engraved stones of Tautira. 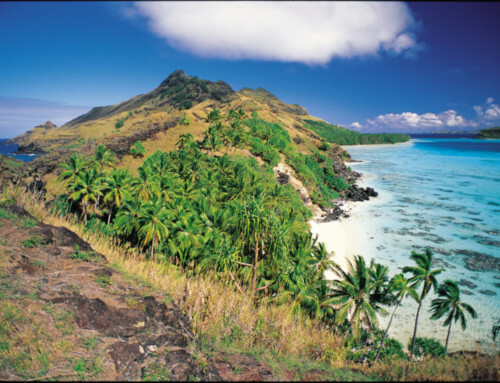 Then you will head towards the Valley of Vaiote for a visit of the Marae (open air sacred temple) and a dip in the basins. 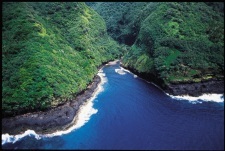 The day will continue at the river’s mouth with the discovery of Hono’ura’s – a warrior Pahu (drum). Depending on the weather and time, you will be offered a short visit to an underwater cave and the discovery of the first Pari’s cliffs by your guide. The Peninsula preserves so much beauty and natural wealth to be discovered, and breathtaking panoramas to be seen !